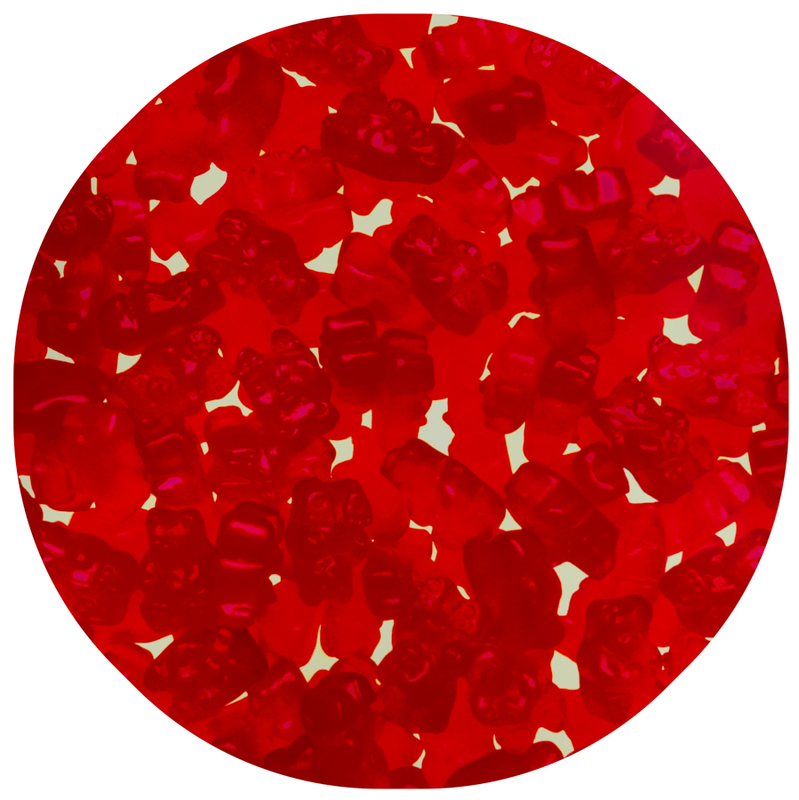 Tom Bolles, Red Gummy Bears, Mixed Media on Canvas, 66 × 66 in. Tom Bolles integrated both digital and painterly processes to create his striking composition Red Gummy Bears. Using variations of tone, Bolles establishes a sense of depth within the circular canvas. The playful subject matter becomes abstract from a distance, allowing viewers to form their own associations. Visit the gallery closest to you to experience Tom Bolles’ work in person.